The problem is a major concern for French people, but who knows exactly what we are talking about? Which substances have an endocrine disrupting action? How do they act and with what effects? What are political and health authorities doing to reduce risks? And what share do cosmetics have in the population’s exposure? To answer all these questions, FEBEA organised a press workshop on this theme on 14 February 2019. First part of this report: What is known about endocrine disruption? 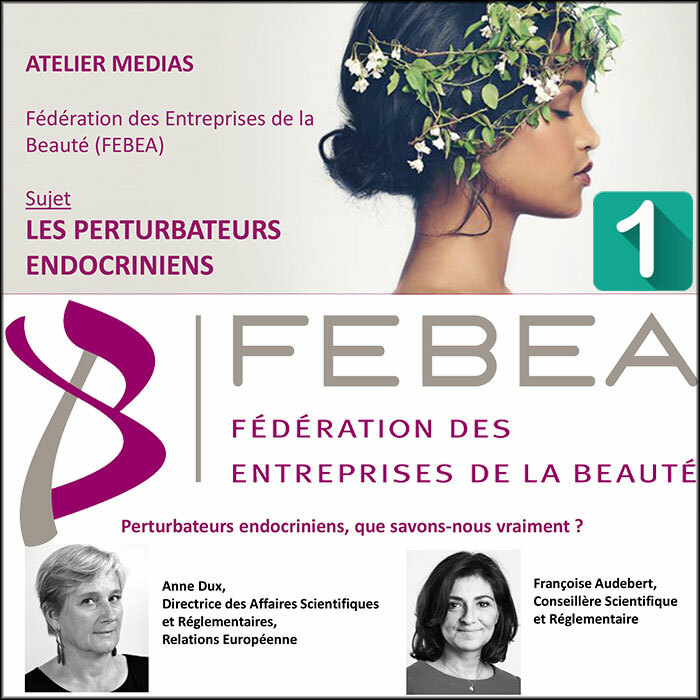 Before this meeting, the FEBEA had proposed to the journalists present to measure their knowledge of endocrine disruptors through a short quiz of 12 questions: none (not even those of CosmeticOBS!) got 12 correct answers! “This shows how complicated the issue of endocrine disruptors is,” commented Anne Dux, FEBEA’s Director of Scientific and Regulatory Affairs, who co-facilitated this workshop. But even if it is not well known (and perhaps also because they are not well known), endocrine disruption is a concern. As proof, the scale of risk perception by the French, published regularly by the Nuclear Safety Research Institute. For the past four years, the issue of endocrine disruptors has been included. In the last edition of 2018, cancer is perceived as a very high risk: almost 100% of French people perceive it as a high or medium high risk. Endocrine disruptors are perceived as a significant risk (80%) at almost the same level as AIDS.